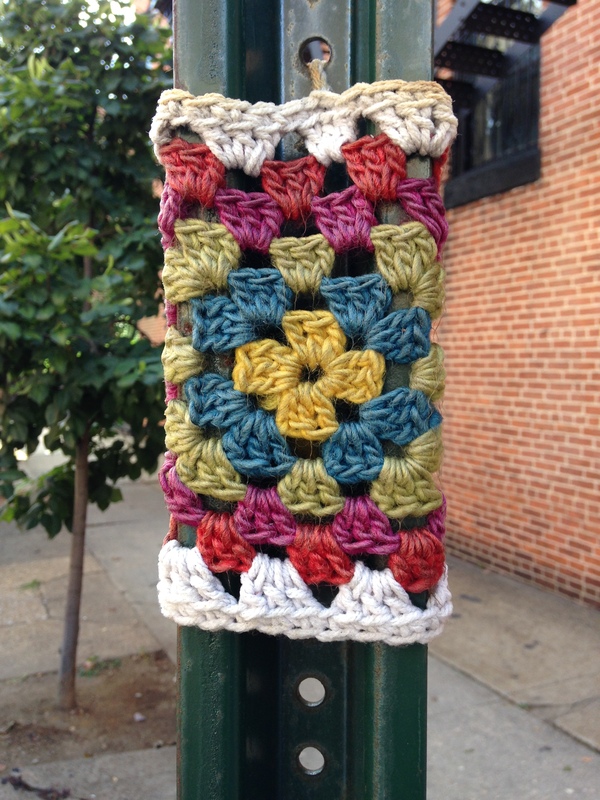 This entry was posted in Arts, Baltimore and tagged Street Art, Yarn Bombing. Bookmark the permalink. I love how you are looking deeper into something that I’ve noticed kind of offhandedly. 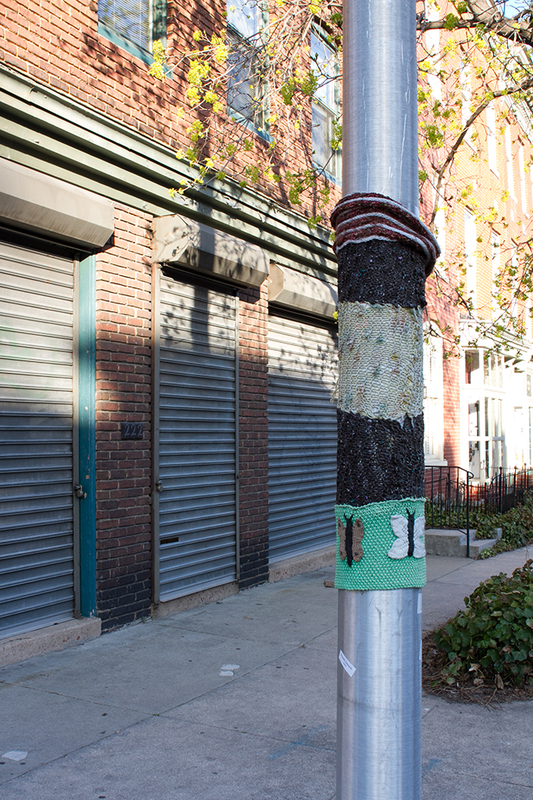 I’m a knitter, and I thought the street art was a novelty, but I can see what you mean about making the street landscape more personal, tactile, human. Thanks for sharing, love your photos, especially the closeup at the end. Thanks Lorien! 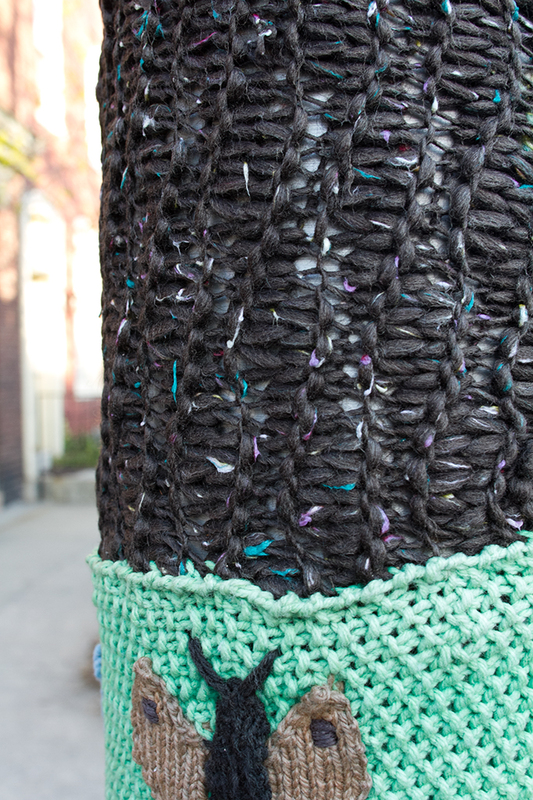 And how great that you’re a knitter — I crochet and find it to be such a relaxing outlet. Someday I’d like to learn to knit, too. I would love to take you up on that!